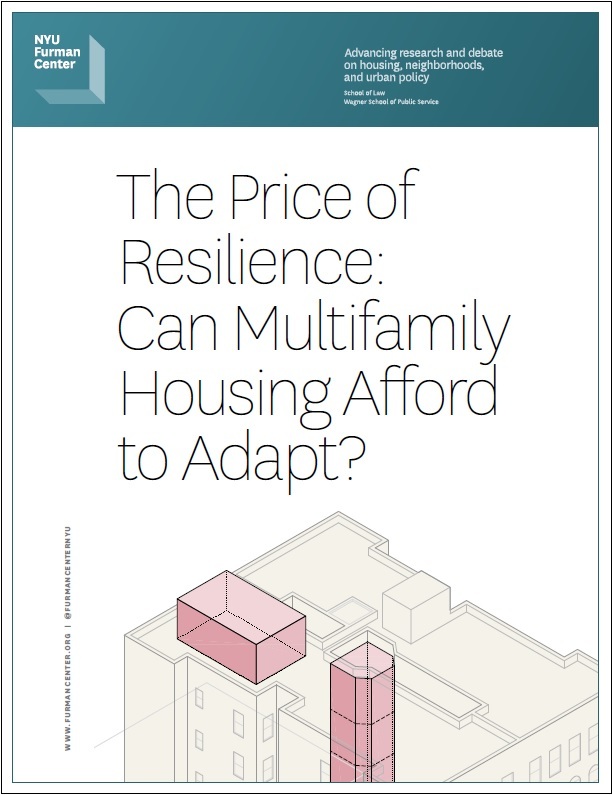 Report: The Price of Resilience: Can Multifamily Housing Afford to Adapt? 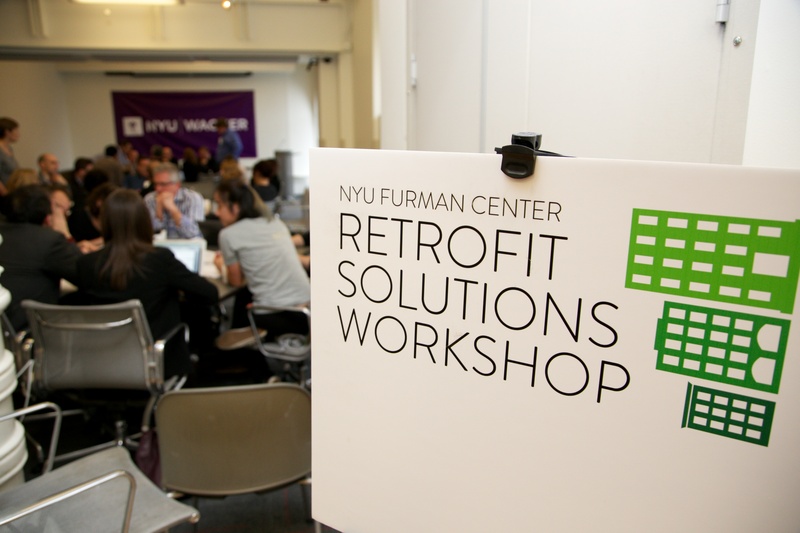 A new report released today by the NYU Furman Center examines the challenges of retrofitting New York City’s multifamily housing stock against future climate threats, including the potential effect on the city’s limited stock of affordable housing. The report, The Price of Resilience: Can Multifamily Housing Afford to Adapt? (PDF), was released today after months of collaboration with government officials, architects, engineers, and housing policy experts. Focused on the challenges facing multifamily buildings, the report details design solutions and offers policy recommendations for city officials and the Federal Emergency Management Agency (FEMA) that may help remove barriers to achieving long-term resilience in this stock. The project was conducted in partnership with Enterprise Community Partners and the New York Chapter of the American Institute of Architects. The Price of Resilience (PDF) report details how much of the national guidance on retrofitting residential properties is geared towards 1-4 family buildings, reflecting the national housing stock. But FEMA’s new flood insurance maps place nearly 5,000 multifamily buildings—housing 170,000 units—in New York City’s 100-year floodplain. New York City’s extreme shortage of affordable housing may also make the direct and indirect costs of retrofitting particularly hard to bear. According to the report, the majority of units in flood-prone areas are either rent-stabilized or receive a government subsidy to provide affordable housing. Even without the potential for a loss of units, a building’s location in the flood zone could also serve as a threat to affordability because of recent changes in flood insurance rules. Property owners in the 100-year floodplain face the difficult decision of bearing the burden of making costly retrofit improvements, or facing skyrocketing flood insurance premiums in the coming years if their properties do not meet certain design standards. FEMA should modify the guidelines for its National Flood Insurance Program to provide more guidance to multifamily buildings, and it should explore providing partial insurance relief for partial mitigation efforts. New York City should consider expanding the zoning changes it passed after Superstorm Sandy in the 100-year floodplain to cover buildings in the 500-year floodplain. New York City should revisit its existing rehabilitation subsidy programs to ensure that resilience measures can be readily funded; and it should require that buildings in the 100- and 500-year floodplains that it assists have adequate emergency and resilience plans. “As New York City adapts to the growing risks it faces from climate change, FEMA must also adapt to better address the risks and needs of multifamily buildings in urban areas. Policy makers must ensure that vulnerable multifamily buildings do not get left behind,” said Yager. View the Media Page for The Price of Resilience report, including the press release, high-res images, and video.